M. Migliori, L. M. Napolitanio Valditara, A. Fermani (ed. 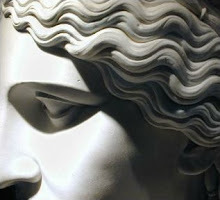 ), Inner Life and Soul: Psyche in Plato. Lecturae Platonis, 7. Sankt Augustin: Academia Verlag, 2011. Pp. 359. ISBN 9783896655615. €42.00 (pb). The book contains 19 essays delivered at Camo in early 2006 on the topic of Platonic psyche. The essays are flanked by Linda Napolitano's substantial foreword and a more integrative afterword by Maurizio Migliori. The afterword, in particular, draws out the continuities of the various articles, and consequently provides a measure of unity to the book. Although there is much in Platonic psychology that is often taken for granted, the editors are keen to stress that there remain many puzzles about Plato's concept of psyche. I will only review a selection of the articles, which to my mind are either representative, or of particular strength. Several early articles focus on the theme of the soul's immortality. Luc Brisson (pp. 63-70) begins with the tension between the Phaedrus and Timaeus. Whereas the Phaedrus holds that the entire soul is immortal, the Timaeus, by contrast, reserves immortality exclusively for the intellectual part of the soul. On these grounds, Brisson asks about the nature of death. In the Phaedo, death is defined as the separation of soul and body; and in the Phaedrus, gods and daemons are defined as "immortal living being[s]" (246d1) with a body and soul that are united for all time. In other words, the body of a god cannot be destroyed. Brisson concludes, "the distinction between immortal and mortal unfolds with regard to the body" (68). It is precisely due to the destructibility of the body that those features of the soul associated with the human body – thumos and epithumia – can be deemed mortal. On the other hand, insofar as they are activities of the soul – albeit only exercised when embodied – they are immortal. Observe, furthermore, that once the soul separates from the body, it forgets all of its experiences associated with the sensible realm. Consequently, for Brisson, Plato not only denies personal immortality, but also thinks that individuality, as such, is an evil. This is so because embodiment interrupts intellectual activity of the intelligible realm. Bruno Centrone continues on the theme of the soul's immortality (pp. 71-84). Although he thinks the immortality of the soul is axiomatic, he notes that there is still no adequate account of its conceptual parameters. There are at least three possible positions. First, immortality might mean personal immortality, which we already saw denied in Brisson's article. Second, it might refer to some cosmic soul or fundamental principle. Finally, there is an intermediate position, which holds that there is a "plurality of individual immortal souls" (72). The last is Centrone's perspective and is buttressed by the Phaedo's cyclical argument and the Republic (611a4-8). A bulk of the essay is concerned with rehearsing and rejecting the arguments against personal immortality. For instance, Centrone cites Diotima's claim that mortals can only partake in immortality by procreation (207d). Furthermore, consider the logos of the Phaedrus, which holds that movement, a single principle, is constitutive of immortality. Finally, and especially central to Centrone's case, personal immortality might only function pedagogically, that is, as another noble lie. But Centrone modifies this point, claiming instead that the textual evidence never purports to assure personal immortality (Apology 40e-41c; Phaedo 63b9-c1). But can the notion of individual immortal souls itself act as a deterrent in this life? Centrone thinks that it can because embodiment affects the soul's next incarnation. One essential issue concerning Platonic psyche is its structure. The answer is different depending on the dialogue under consideration. In Maurizio Migliori's essay (pp. 113-150), is the most substantial essay in the book, we see the rich polyvalence of the soul. What triggers Migliori's contribution is Pascal's famous dictum – the heart has its reason which reason cannot comprehend. For Migliori, such a strong division between intellect and emotion is characteristically modern and can be contrasted with Plato's own position, which is "far more unitary" (115) than Pascal's and than modern thought more generally. According to Migliori, Plato has "a highly articulated play of vertically arranged wholes" (149), which are explored depending on the context. First, there is the human being, defined as a composite of body and soul. The next stage is defined exclusively by the soul, which is constituted by three interactive parts. Note that Migliori is unique among the book's contributors in that he subscribes to the traditional thesis that Plato's genuinely subscribes to the soul's tripartition. Finally, at the apex of the hierarchy is the rational component of the soul, which is the most divine element of the soul and survives the death of the other two mortal components. This triadic picture might seem deeply inconsistent, but Migliori aims to show that each stage can be ordered hierarchically. In so doing Plato encompasses the range of human experience. For although the development of our rational capacities is the highest end, and necessarily forces us to negate the body, Plato always checks this ascent by the need to re-engage with features of human embodiment, if only to make the ascent itself more intelligible. Indeed, it is worth noting how Plato's characterization of the soul is simultaneously defined in terms of, and against, the body. Consider, for instance, Socrates' analogy between bodily and psychic health, and how the model of physical disease is imported into that of the soul (Protagoras 313d-314b). At Republic IV, Socrates states that a longer way will be required in order to adequately understand the composition of the soul. Christopher Rowe (pp. 225-232) asks what Socrates' shorter way misses. Rowe cites several sections that seem to imply that the soul, properly conceived, is united after all (611e-612a). He argues, furthermore, that soul's tripartition is introduced for a specific purpose, namely to resonate with Socrates' interlocutors. Rowe urges that we not confuse this protreptic strategy with Plato's genuine account, which holds the soul to be unified. Linda Napolitano begins her essay (pp. 151-184) by commentating on how scholars have sought to demonstrate the erroneousness of the Hegelian thesis that there was no concept of self-awareness in Ancient Greece. Napolitano's own thesis is more specific, aiming to determine how the concept of self-awareness emerges in the dialogues, if it has consequent importance, and the degree to which Plato's position can be demarcated from that of Socrates. She first investigates the Alcibiades and concludes that the essential form of self-awareness expressed therein is "the knowledge of one's own soul" (158) as the essence of self. A similar idea is expressed in the Charmides; one of the central ideas to emerge is that genuine wisdom necessitates awareness of such wisdom. As Napolitano turns to the middle dialogues and to Plato's own position, she points out that there is a corresponding shift from self-awareness as fundamentally knowing one's own ignorance to actual knowledge in the form of anamnesis. A second change occurs with Plato's more detailed account of the soul, which encompasses all cognitive and non-cognitive content. Self-awareness, according to Napolitano, enables all the potential goods that are open to us, just as the opposite, self-ignorance, necessarily closes them off. Francois Renaud's contribution (pp. 207-224) provides a more in-depth analysis of the Alcibiades, especially the thesis that the soul is the human being (130c6). Despite the dialogue's current reputation as doubtfully authentic, Renaud points out that it enjoyed privileged status throughout antiquity. This is so, in part, because of its mixed character, which successfully combines refutative, protreptic, and maieutic components. Indeed, this variety is precisely why contemporary scholars have rejected its authenticity! Still, the explicit claim that to know oneself is to know one's soul has generated significant controversy, particularly over the key passage at 127e-133c. In order to know one's own soul, one must look as the eye looks at itself in a mirror. That is, one must look at another soul in order to achieve self-knowledge. More concretely, one must examine the intellectual part of the soul, which is the most divine. Renaud, thereby, identifies a tension between the dialogical imagery of the mirror and the celestial part of the human soul. Accordingly, there are two competing interpretations to this puzzle. First, the theocentric interpretation focuses not only on the divine in us, but also on our soul's kinship with God. Knowledge of this transcendent being will enlighten us about our own nature. The anthropocentric interpretation, by contrast, focuses on the eye-mirror imagery, suggesting that one necessary condition of self-knowledge is dialogical engagement with other people. Renaud does not think the two interpretations are incompatible. While the theocentric interpretation shows how coming to know the divine indirectly allows us to know the essence of the human self, the anthropomorphic interpretation implies that not just anybody can provide a reflection of the soul. Rather, only specific individuals like Socrates are able to do so because they have adequately developed their soul. Indeed, Renaud claims that this is reflected in the drama of the Alcibiades itself. Maria Michaela Sassi's essay (pp. 251-266) rehearses Cornford's well-known argument that, for Plato, there is a "single force or source of energy" (255) that can be organized differently and toward contrasting ends. This is precisely how she thinks we ought to interpret the tripartition of the soul, not in the generic sense of 'parts' but as different functions of the same fundamental psychic energy. Since psychic energy is organized in one direction, it inevitably weakens another materialization. This thesis of the soul's fluxes is buttressed by textual evidence in the Phaedo and Republic. Sassi's own contribution to this interpretive strategy is to apply this model to other dialogues, namely the Gorgias, Phaedrus, and Timaeus. For instance, rather than characterize the Gorgias as a debate between reason and desire, Sassi argues that what is at stake is the re- direction of desire, away from bodily appetites and toward appropriate ends (e.g., intellectual ends). Finally, although this thesis no doubt shares strong continuities with Freud's notion of sublimation, Sassi notes that there undeniable differences. Plato thinks that psychic energy can be organized consciously, which is excluded from Freud's account. Finally, there are some articles that are islands unto themselves. For instance, Plato's strong distinction between philosophers and non-philosophers prompts Michael Erler's contribution (pp. 91-102). The philosopher, best exemplified by Socrates in Plato's dialogues, is characterized as happy even in the direst circumstances, at ease with his fate, and in control of his emotions. Most people cannot hope to reach such heights. Yet, Erler introduces the concept of the decent man and how Phaedo in the eponymous dialogue can be so characterized. The decent man, while not a philosopher, nevertheless constitutes an improvement over ordinary people. Consider how Phaedo is not alarmed by Socrates' impending death. This is so because he has accepted Socrates' argument about the nature of death, and its irrelevance to happiness (58e). He is no philosopher, however, because he still experiences melancholy about the loss of his friend. In this way, Erler shows how we ought to get rid of the monolithic notion of the non- philosopher. Some people, while not yet philosophers, are nevertheless well on their way. The breadth of material in the book is commendable. My biggest complaint is the preponderance of typos. This is unfortunate and points to the need for a better editorial process. Nevertheless, the overall quality of argument ought to prompt critical reflection by Plato specialists, and new avenues of research.